Welcome to our event website and we look forward to welcoming runners next June to the sixth Flaming June Half & Quarter Marathon running events on Sunday 2nd June 2019. 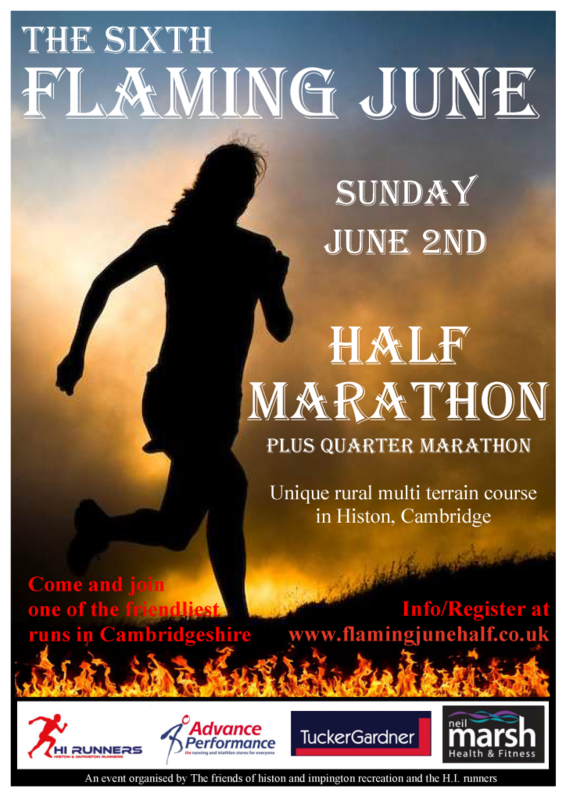 Organised by charity The Friends of Histon & Impington Recreation and the village running club HI Runners the Flaming June runs provide something a little different from the usual road based courses. The Friends have a good reputation for organising community sporting events including the Flaming June’s brother event the ‘Bonfire Burn 10k ‘to be held on Sunday 3rd November plus the Strawberry 50 Community cycling event held on Sunday 1st September. 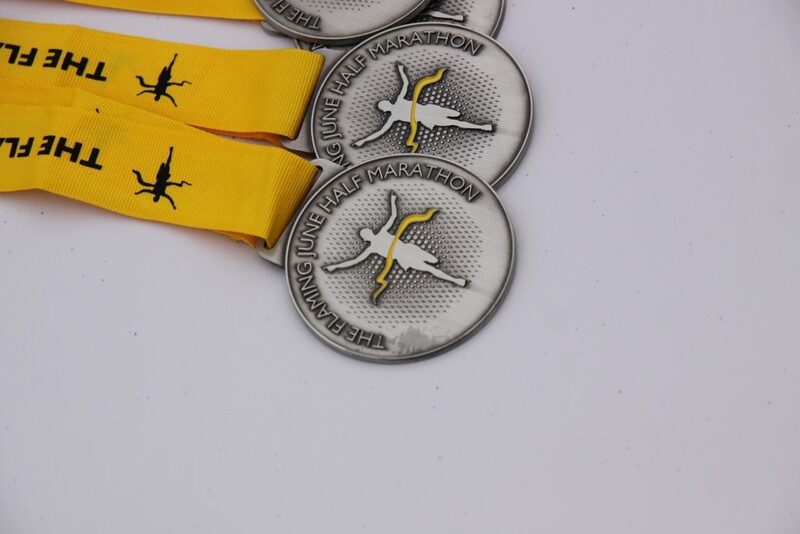 All runners will receive a quality medal memento of the event.